If you’re looking for options to help your student pay for college, you’ve probably looked at a Parent PLUS loan. They are generally easier to get approved for than private student loans, and they often have some additional repayment flexibility. However, not all applicants are approved for a Parent PLUS loan. Fortunately, being denied isn’t the end of the story. There are steps you can take to be reconsidered. If you were denied for a Parent PLUS loan, you probably have adverse activity on your credit report. A Parent PLUS loan endorser is someone who is creditworthy and can boost your application. Your student cannot be the endorser, but a friend or family member can be. The option to list an endorser is available at the end of the loan application process. This cosigner will have to complete and electronic form called the Electronic Endorser Addendum. Once you secure a cosigner, you’ll also need to go through the PLUS loan counseling on the Studentloans.gov website. If you don’t have someone who can cosign for you, you can still have the government reconsider your application if there are outside circumstances that affect the decision. The primary parent plus loan denial reasons are related to adverse credit history. You can try to explain the adverse credit history in a way that will allow you to qualify for the loan instead. If you can show that there are mitigating circumstances, you may be able to get approval after an appeal. 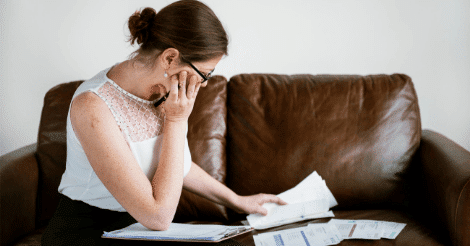 How Much Do You Get If Denied a Parent PLUS Loan? If there’s any good new about being denied for a PLUS loan, it’s that your student will have access to more funding for school. The Federal Student Aid Office allows students with parents who have been denied a PLUS loan to borrow above the normal maximum limits for federal student loans. Instead of only having access to $5,500 – $7,500 per year, your child will have access to $9,500 – $12,500 per year, depending on what year they are in school. The lifetime borrowing limit will be $57,500 instead of $31,000. Can you be denied a federal student loan? Once a loan is included in a financial aid package, the only way it can be denied is if your student is not enrolled at least half-time in school. So it’s a great way for your student to access extra funding, even if you can’t help with a PLUS Loan. Many parents find that a Parent PLUS loan isn’t a great deal after you consider the fees and interest rates. You may be better off exploring other types of funding, including home equity, private loans, or finding private scholarships or grants for your student. You might be able to qualify for a state loan, although you might need a cosigner for that as well. You can also have your student look into private student loans if it makes sense financially. Most of all, you can save a significant amount of money by finding a generous school that will help both you and your student save on tuition and more. There are schools that are known to be more generous to students in a variety of situations. Finding those schools can be a challenge. It takes hundreds of hours to find all the details, and there’s still no guarantee you won’t miss something. Let us make it easier for you. Our College Free Money Finder can give you all the information you need. Save yourself time and untold headaches by focusing on schools that are great financial match for your situation. It will save your student thousands of dollars and make their life much easier after graduation. Newer PostWhy Does It Cost So Much To Go To College? Older PostWould a Trade School Be a Better Option vs. College?